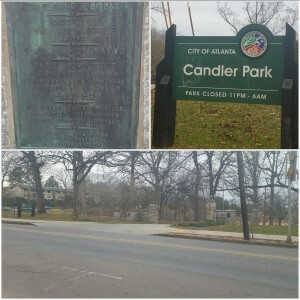 These pictures are of the main entrance for Candler Park. The top left picture is a sign placed on the main gate that presents the information for the park, such as, who erected the park and when it was done. It also presents information, such as, the park committee and the mayor at the time of erection. 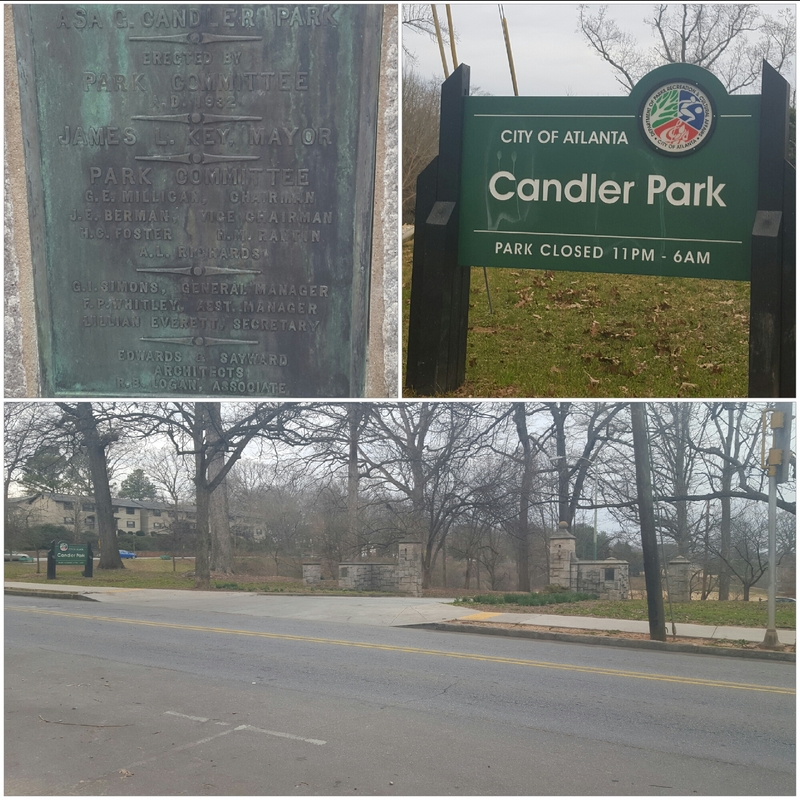 The top right picture shows the name of the park and its hours. The bottom picture is a full view of the entire park entrance.